We think the perfect idea for a Valentine’s Day present is a full weekend away in one of the most scenic and romantic locations in the world. Let Stellenbosch envelop you and your loved one in a romantic interlude filled with wine, candlelit dinners and carefree strolls through the vineyards and streets. Here are a few ways to enjoy this love-filled time of year. 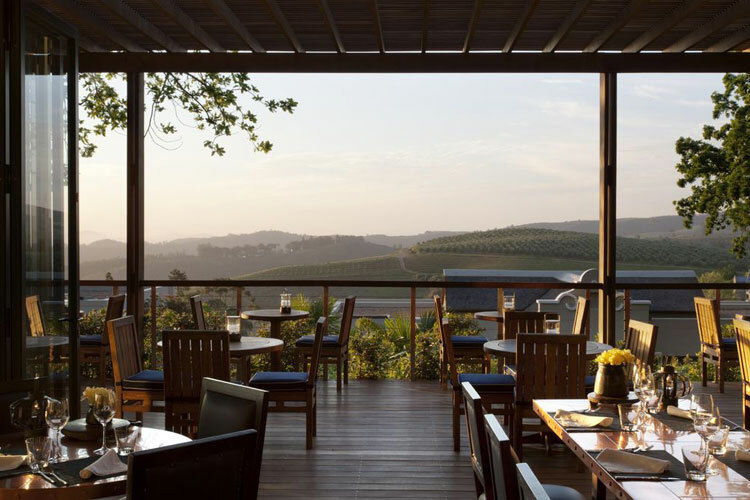 Of course, no Valentine’s Day is complete without a dinner where you can feast on fabulous food and gaze into the eyes of your loved one over a glass of premier South African wine. Stellenbosch has plenty of wonderful places to choose from. This well-known steakhouse has been serving succulent cuts of AAA grade steak and melt-in-your-mouth sides for 50 years. The trick lies in the restaurant sourcing and aging their beef in their own cold rooms and, of course, the top secret basting sauce. 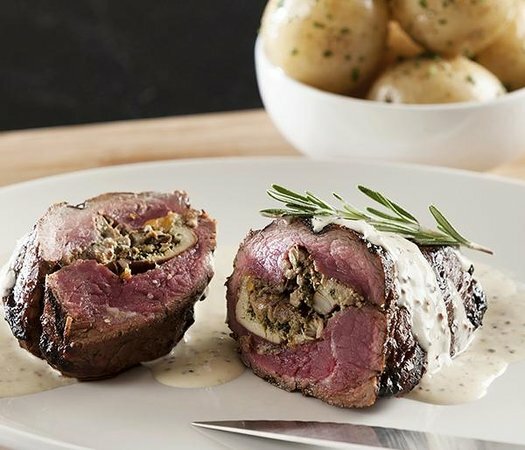 The signature dish is the fillet béarnaise while the Hussar Carpet Bagger (fillet stuffed with smoked oysters and cheddar, topped with a brandy and wholegrain mustard sauce) or the fillet topped with a Madagascan peppercorn sauce are honourable mentions. Expect a flawless and varied menu and wine list complemented by world-class service. With the outside terrace providing you with picturesque views of Stellenbosch and a distant Table Mountain, Indochine’s atmosphere is uniquely dreamy. An Asian fusion delight, Indochine is known for their full flavoured seafood geng gati –neither a red nor green curry but made with geng gati, a fiery curry paste. Along with the curries, there are fabulous starters like the Vietnamese pork belly and tom yum goong soup to savour. With a mesmerising view and beautifully presented food, Indochine presents a Valentine’s meal both of you will remember. Ambling through Stellenbosch is a wonderful way to reconnect with your loved one and experience the quaint magic of the town. There are plenty of bespoke stores and historic buildings as well as art galleries and museums to browse, covered on our blog. Along with wine tastings and pairings, treat you and your loved one to a day of relaxation at one of Stellenbosch’s luxurious spas. Set amidst lush vineyards means you will be pampered with treatments infused with viticulture. Visit Lanzerac Estate’s spa and treat yourselves to a soothing Chardonnay grape face mask or intense exfoliating facial, which uses natural fruit peel. End off your treatment with a Pinotage Vino bath or grape-infused soap sponge exfoliation to leave your skin clean and glowing. At Clos Malverne, expect royal treatment from rejuvenating facials and couples aromatherapy to body wraps and massages. With each treatment, the spa gifts clients with a free bottle of Clos Malverne wine.